Finished size is 4 x 5 inches and is 1-1/2 inches deep (at the bottom, tapering up). The face acts as the flap to open the box, and is held closed with either a magnet or Velcro dot under the nose. If you are giving these to children, you will want to use the self-adhesive Velcro dots instead of magnets. The Velcro dots are easier to attach, but the flap is a little harder to open than using magnets. 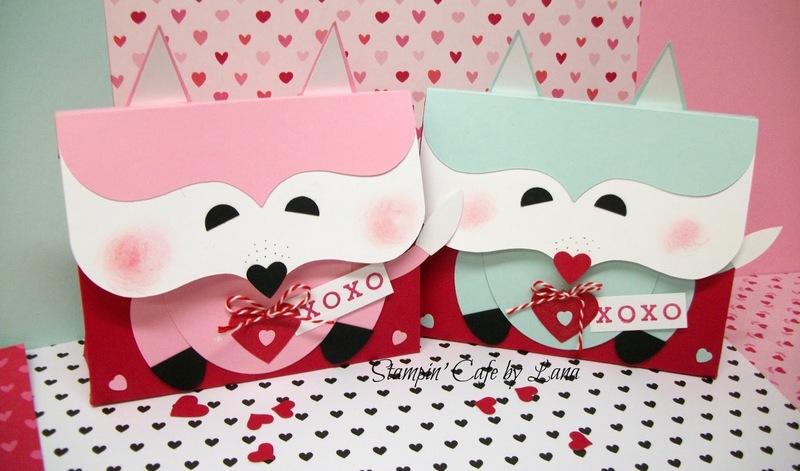 Which little Valentine fox is your favorite, pink or blue? !